Latitude organized group rides are a wonderful way to engage with staff outside of the office. We tailor trips to suit your needs, whether you’re looking for a short after-work event, a full-day, or a longer multi-day retreat. Riders of all walks of life will find common ground by exploring together by bike. Our corporate group rides can accommodate 100+ participants, and we are happy to craft a trip that aligns with your goals and needs, whether for business or pleasure, or both! Trips often include a company picnic, or conclude at a fun venue for everyone to relax over good food & drink. The important thing is that it's a wonderful way to create a shared experience that won’t be easily forgotten. 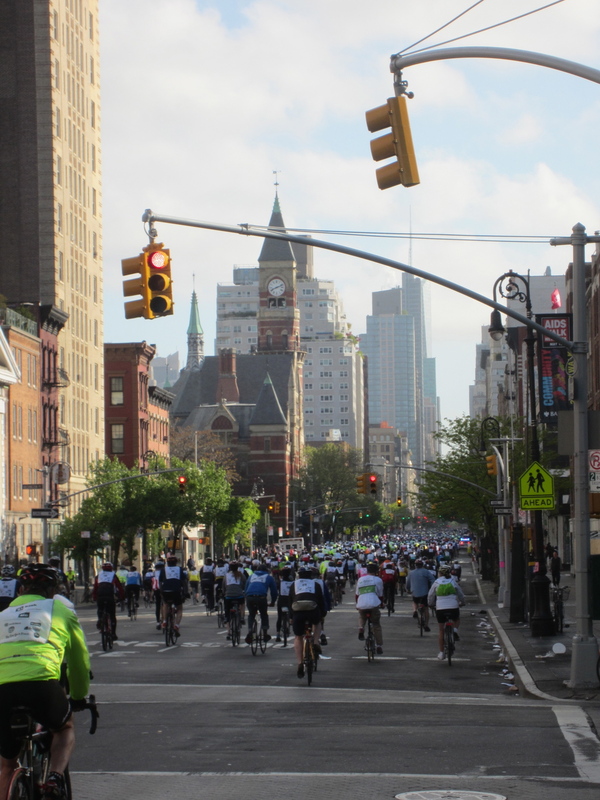 From Gritty to Gorgeous: The Inns and Outs of Lower Manhattan: There are so many hidden gems to be found in the southern part of the island, and so many great options for riding. Weave your way in and out of some of the city's most iconic (and often car-free) streets, while also experiencing the rapidly growing network of parks and paths packed into Lower Manhattan. There are plenty of great food & drink options along these routes, an ideal way to end a nice excursion with the staff. Central Park & Surroundings: Experience Uptown: Disocovering the nooks & crannies, cliffs & crevices, of the country's most celebrated park is a great way to get out of the office and enjoy a beautiful afternoon. Central Park's proximity to some of the city's most storied neighborhoods-- Upper East Side, Harlem, Morningside Heights/Columbia University, and the Upper West Side-- along with some of the city's other great parks, like Riverside Park, means that with just a bit of extra time you can see a LOT more! Environmental NYC: Paving the way to a Greener Future: From the ambitious PlaNYC to some of the city's recent battles with Mother Nature, the Big Apple has a lot on it's plate. This trip will cover everything from LEED-certified buildings to sustainability plans to innovative developments in flood prevention, all the while taking advantage of the city's growing collection of parks and green spaces. A Weekend Getaway: Ride through the beautiful Berkshires, get some R&R in Upstate New York, or combine the two with the charming cottages of Connecticut, where you can retreat into nature and take a break from the hustle and bustle of the city. On these trips we'll be sure to make our way to the homesteads of some of our excellent partners, featuring local organic fare, fantastic artwork too big for the big city, and of course delightful B&B's to rest your head at the end of an active day.